Retiring Community College Chancellor Jack Scott watched his signature initiative move closer to becoming law. The Assembly Higher Education Committee yesterday unanimously passed SB 1456, the Student Success Act of 2012. The bill would implement two of the 22 recommendations developed by the Student Success Task Force, a panel of educators, policymakers, students, and researchers that spent last year studying and taking testimony on ways to improve the completion rate at California’s community colleges. “SB 1456 is about community college students and the tremendous fierce urgency of doing something now,” the bill’s author, Democratic Senator Alan Lowenthal of Long Beach, told the Assembly panel. 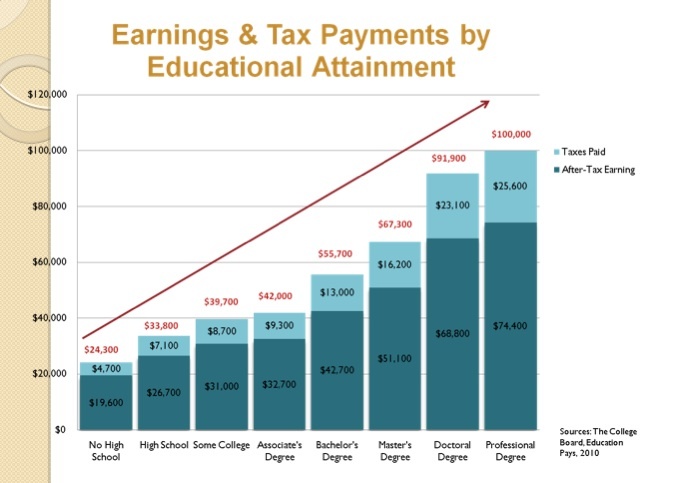 As TOPed previously reported, studies have found that after six years, only 30 percent of community college students earn a degree or certificate or transfer to a four-year college. The first proposal puts the onus on community colleges to provide support services for every student. These include orientation, assessment and placement, counseling and education planning, and tutoring or other interventions to help students who are falling off the path. Colleges would also have to evaluate the effectiveness of those supports and report them to the Legislative Analyst. The second recommendation establishes for the first time academic standards for receiving Board of Governors (BOG) fee waivers. In order to continue receiving a BOG waiver, students would have to maintain a “C” average for two semesters. Community College Chancellor Jack Scott testifying on SB 1456, the Student Success Act. (Source: The California Channel). Click to enlarge. Scott noted that this is also required for both the federal Pell Grant program and Cal Grants. “We just didn’t quite feel it was fair for somebody to continue for 8 or 10 semesters and never achieve a 2.0,” he said. Speakers heaped praise on Lowenthal for his willingness to work with key constituencies to find middle ground on some contentious issues. The biggest concerns were over new restrictions on BOG fee waivers. Lowenthal agreed to remove a provision eliminating eligibility for waivers for students with more than 110 units. He also agreed to an appeals process and to phasing-in the changes over time. As a result, the Academic Senate for California Community Colleges, the Student Senate, and MALDEF, the Mexican American Legal Defense and Education Fund switched from opposing the bill to supporting it. Well, not exactly. The Community College Association (CCA), which is the higher education division of the California Teachers Association, argued that SB 1456 is more talk than walk. Ron Norton Reel, a speech teacher at Mt. San Antonio College, testified that the bill contains no definition of success or strategy for measuring it, creates more inequalities among students and doesn’t provide any funding to hire the thousands of additional counselors that will be needed to help students establish educational goals and a plan to reach them. Without that “then the intent is good, but the consequences are bad,” said Ron Norton Reel with the CCA. 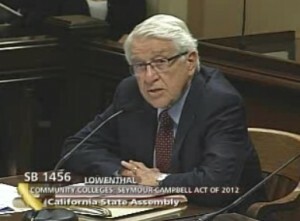 Lowenthal countered by reading a section of the bill that clearly states that community colleges won’t be held accountable unless they receive funding to carry out the provisions. “We all want additional funding,” Lowenthal said. “The people who support this bill, more than even the opposition, want additional funding.” Until that money comes, he said, colleges need to start preparing for the changes ahead. Another of Chancellor Scott’s projects – which is about to expire – received a new lease on life by the Higher Education Committee. SB 1070, introduced by Senate President pro Tem Darrell Steinberg, would strengthen and extend the Career Technical Education Pathways Initiative funded by Scott’s 2005 bill, SB 70. 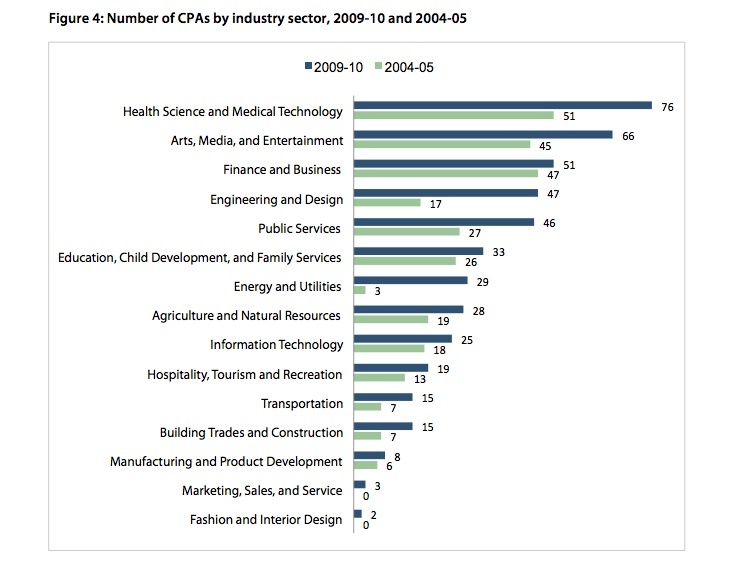 These are typically academies within high school or middle schools where students learn many of their core subjects through the lens of a business or industry. Some are in community colleges. At Laguna Creek High School in Elk Grove Unified School District, students in the Green Technology Academy learn science and math through hands-on experimentation with alternative energy. They build solar-powered vehicles, compare the effectiveness of different biofuels and study physics by making and launching small rockets and measuring their velocity and height. “Every time I see one of these career pathways programs whether it be the partnership academies or linked learning or one of the other models, learning comes alive, and it comes alive without sacrificing rigor that prepares students for college and career,” Steinberg told the committee Tuesday afternoon. Career academies should be tied to local business and industry needs. (Source: Career Academy Support Network). Click to enlarge. SB 1070 would hold schools more accountable for success than its predecessor and require them to submit data about student outcomes. Initial funding would come from the Quality Education Investment Act. That’s the $3 billion program created to settle a lawsuit brought by the California Teachers Association against Gov. Schwarzenegger for failing to repay school districts and community colleges money borrowed from Proposition 98 in 2004-05 to help the state get through that year’s budget crisis. The State Department of Education also funds the California Partnership Academy program. They’re all competitive grants and together the various funding sources support about 700 academies in California schools, according to the Career Academy Support Network at the University of California, Berkeley. Since 2005, the career tech academies have enrolled nearly 750,000 students, although they tend to be concentrated in about a quarter of the state’s 1,000 school districts. The results are impressive. Attendance and graduation rates are higher in academies than in the comprehensive high schools where they’re located. Test scores are a little better too, even though many of the students – 50 percent, by law, in the partnership academies – are considered at risk. Governor Brown, what are you thinking? Your proposal, to end the mandate that requires a second year of science for high school graduation, as a way to fix a dysfunctional budget process, makes absolutely no sense. Since 1986 every student who graduated from high school in California has been required to take and pass one year of life science and one year of physical science. The second year of science requirement was added when it became obvious that a literate citizenry needed to know more about the science and technology that drives their everyday world than a one-year general science class could provide. What has changed? 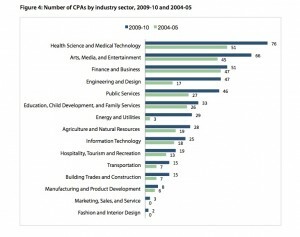 Is it less important now, in 2012, for citizens of California to have the minimum amount of science necessary for access to careers or colleges after high school? The economy of California is heavily dependent on the technology that results from the work of scientists and researchers, and California citizens, the consumers of that technology, must have a solid understanding of its origins, is applications, and its limitations to make sound decisions for the future. Decreasing the number of years of science required in high school for graduation is a step in the wrong direction. Throughout all of the rhetoric surrounding this proposal, your office and the Department of Finance have argued that removal of the mandate will not affect the quality of education our students receive. They argue that the California State University and the University of California will still require two years of lab science as a minimum requirement for admission. This is likely true, but this fact does not address the large number of students who don’t see four-year colleges in their future plans. For those students, a reduction in the number of years of required science could mean a workforce that is even less prepared than they are now. Removal of the mandate could easily result in an underprepared workforce for California. In a time when employers argue that it is difficult to find qualified workers, anything that reduces worker preparation should be avoided. Supporters of your proposal argue that graduation requirements are still the responsibility of the local school districts and that districts would never reduce graduation requirements. I would caution that as schools face declining budgets and continued pressure to perform on standardized tests, districts may find themselves forced to make decisions that seem unconscionable today. Teaching science is not cheap. The Department of Finance estimates that the cost of the second year of science requirement is $250 million per year. If we accept this amount, it should not be a stretch to see that a district that has to cut millions of dollars from its annual budget will see elimination of a non-mandated cost as an easy way to maintain solvency. This possibility is further compounded by the realization that school districts have not been reimbursed at this level for years. Essentially, they are fulfilling this mandate from their general funding, since no additional support has been provided by the state. Furthermore, districts that are struggling to meet their measures of Annual Yearly Progress (AYP), as called for in the No Child Left Behind law, will see this as an opportunity to place more emphasis on the subject areas that contribute the most to scores – mathematics and language arts – and eliminate a year of science. Evidence of schools’ willingness to do this can be seen every day in elementary schools throughout California. If a subject is not tested, it is often not taught. The proposed elimination of the second year of science as a graduation requirement is a quick answer to a much bigger problem. Schools have, in good faith, met this two-year mandate for 26 years with little or no compensation from the state. Schools are owed almost $2.5 billion for doing a job that is required of them that has not been supported. Yes, eliminating the mandate will stop the continued accumulation of the debt owed to the schools, but it will not fix the dysfunctional budgeting process. It will result in a further eroding of the quality of the workforce that is so critical to the financial recovery of California. It sends the message that science, as a core curriculum area, is not valued. It is the first step down a slippery slope that will result in fewer students entering college with aspirations in the fields of science and technology, and in an underprepared workforce. It will lead to a wider gap of college admission rates between students who traditionally attend a four-year college and students in underserved populations. Governor Brown, I ask that you drop this proposal and find other ways to fix the budget problem. This problem was not created by the students or the schools in California, and you should not place the burden of fixing it on them. Rick Pomeroy is science education lecturer/supervisor in the School of Education, University of California, Davis and is president of the California Science Teachers Association. Business and civic leaders weighed in on the condition of California’s university and college systems with an urgent warning that without a significant increase in graduation rates, the state will lose its prominence as an economic contender. A new report released Thursday by the California Competes Council found that the state needs 5 ½ million new college degrees and technical certificates by the year 2025. But, without major changes, California will fall 2.3 million short. (Source: California Competes and U.S. Census Bureau, 2010 American Community Survey). Click to enlarge. “We need to provide our young people with the tools, not only to live a good life and be good participants in our state, but to also fuel our economic engine,” said Long Beach Mayor Bob Foster, chair of the Council, during a conference call with reporters. 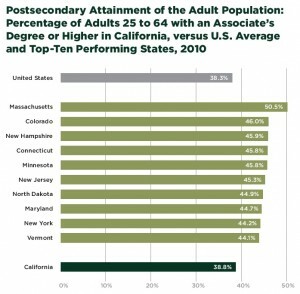 The Council’s report, entitled The Road Ahead: Higher education, California’s promise, and our future economy, is the third in a confluence of reports focusing on improving success at the state’s community colleges this year, this time from the perspective of business and civic leaders. In January, the Community College Board of Governors approved a package of 22 recommendations developed after a year of meetings and public hearings by the Student Success Task Force. A month later, the Little Hoover Commission, the state watchdog agency, released its recommendations for community colleges in Serving Students, Serving California. Community colleges are a key strategy in meeting the demand. With about 2.6 million students, they are the largest higher education system in the nation, but rank second to last in completion rates, according to the report. That combination makes community colleges the low-hanging fruit, as it were. “Improving attainment rates for transfer, degrees, and certificates at community colleges could address a third to half of the 2.3 million graduate gap,” write the Council members. The authors also caution against losing sight of quality. Doing things on the cheap, such as increasing class sizes, could backfire by producing graduates without the analytical and critical thinking skills they’ll need to be successful. Remember CPEC, the California Postsecondary Education Commission? It didn’t work out so well and Gov. Brown disbanded it last year. The Higher Education Investment Board would be CPEC with teeth. It wouldn’t be a governance body, said Robert Shireman, director of California Competes. Like CPEC, it would collect information and data from campuses about the number of degrees granted from each campus, how much it costs to educate students for different degrees, and what the workforce needs are for different regions of the state, and use that information to advise the governor and Legislature on policy. Unlike CPEC, the Board would have authority to compel each campus to respond to its requests for data because it would also have control of student financial aid, like Cal Grants. “Campuses did not have any incentive to respond to requests of CPEC because there weren’t any consequences,” said Shireman. “The scholarship program is a hook into institutions that they need to be responsive. “The statewide Board of Governors should amend its regulations to restore clear accountability to local boards of trustees and to the administrators who report to them.” – California Competes. In a significant shift from the other two reports, the Council proposed reconfiguring the management structure of community colleges to give local Boards of Trustees more power over policy. Currently, under AB 1725, passed in 1988, local community college districts must ensure that faculty, staff, and students are allowed to participate in governance. Two years later, the Board of Governors went further with regulations that call for “mutual agreement” between the local trustees and faculty senates on issues pertaining to curriculum and academic standards. The Council, while acknowledging that faculty input is important, said that by giving academic senates equal authority, it’s nearly impossible to reach any agreements. “We really debated on the governance question and came away with the feeling that the accountability structure of community colleges really needed to be strengthened in order to move forward and address this gap in degrees and certificates,” said California’s former legislative analyst and council member Elizabeth Hill. As far as the statewide academic senate is concerned, the Council based that recommendation on a blatantly mistaken understanding of the regulation. “My jaw dropped when I read that section of the report,” said Michelle Pilati, president of the statewide Academic Senate and a professor at Rio Hondo College. “It’s disappointing to see that the authors of the report did not adequately check their facts.” Except for the changes implemented by the Board of Governors in 1990, Pilati said local trustees can opt to reach a mutual agreement with their faculty senates, but are under no obligation to do so. The Community College Chancellor’s office said it supports any effort to improve completion rates, but was noncommittal on the report’s recommendations and instead directed attention to the Student Success Task Force. Some key proposals from the task force are already making their way through the State Legislature in SB 1456, the Student Success Act of 2012. Jack Stewart is President of the California Manufacturers & Technology Association. He also co-chairs Get REAL (www.getrealca.org), a coalition of labor, employers, teachers, and other organizations committed to protecting and enhancing access to Career Technical Education in California schools. Career- and college-ready: Are they synonymous or different? Like cream and sugar, or ice cream and cake, college and career ready roll off the tongue together as any good platitude should. 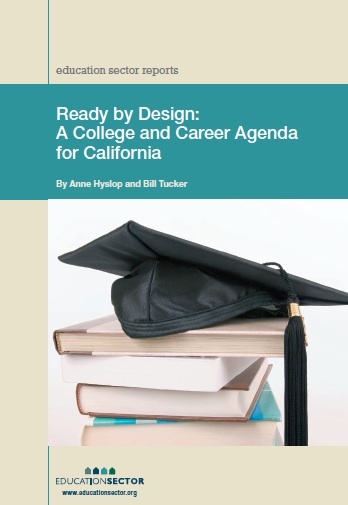 In adopting the Common Core standards, California and other states agreed students graduating high school should be prepared for college and careers. Educators have been arguing ever since what that means. If not the same, then how is career readiness different from college readiness, and how should it be measured? We’ve asked five experts with different perspectives to share their views: the husband-and-wife team of Robert Schwartz and Nancy Hoffman, he of the Harvard Graduate School of Education and she of a national nonprofit focusing on workplace and education for low-income individuals; Robert Balgenorth, a union leader in the construction trades; Barbara Nemko, Napa County superintendent of schools; Gary Hoachlander, president of ConnectEd, the California Center for College and Career; and Devin Blizzard, CEO of much-acclaimed CART, the Center for Advanced Research and Technology, an academic career technical school in the Central Valley. We encourage you to share your views as well. If we were serious about creating policies to serve all kids, we would put career planning and experience in a variety of workplaces at the center of this discussion, not at the margins. After all, only about half of young people who start a two- or four-year degree actually complete one, but all young people, we hope, are going to go to work. Our education system should help all young people make informed decisions about the career paths they want to pursue, even if they may change careers later. Young people these days have little work experience and few opportunities to learn to work. Yet we behave as if preparation for college is the main purpose of high school, rather than explaining to young people that college is a pathway to a career, and that they need to take courses that equip them with skills and credentials with value in the labor market. If we were serious about career readiness, we would bring together employers, post-secondary educators, and K-12 leaders to design pathways in grades 9-14 that have recognized currency in the labor market. We would invest in career information and counseling for all students beginning in the middle grades. We would require, as the French and German systems do, that all students have at least two weeks of job shadowing or other workplace exposure before they enter high school. We have learned from the highly successful Early College High School movement, now serving 77,000 students in 28 states, that the best way to ensure “college readiness” is to enable students to start taking college classes while they are in a supportive high school environment. Analogously, the best way to ensure career readiness is to provide workplace experience in the context of 9-14 career pathways. 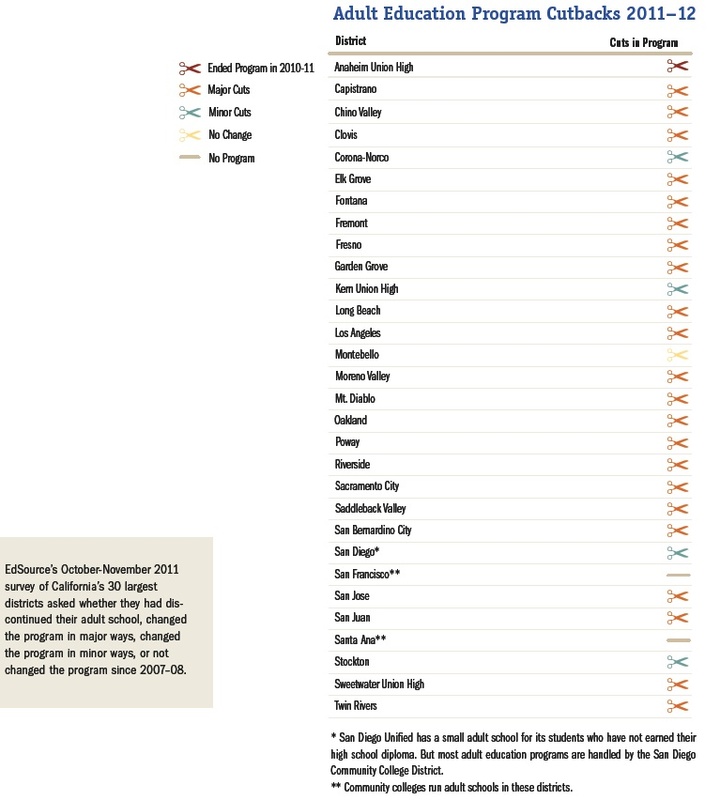 California has some great models in Linked Learning and Partnership Academies, but they serve far too few students. 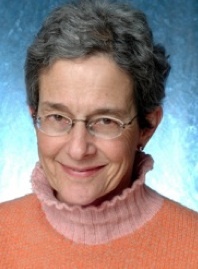 Nancy Hoffman is a vice president and senior advisor at Jobs for the Future, a national nonprofit in Boston focused on improving educational and workforce outcomes for low-income young people and adults. Her most recent book is Schooling in the Workplace: How Six of the World’s Best Vocational Education Systems Prepare Young People for Jobs and Life. Robert Schwartz is the Francis Keppel Professor of Educational Policy and Administration at the Harvard Graduate School of Education where he co-leads the Pathways to Prosperity Project. He was an education advisor to the mayor of Boston and the governor of Massachusetts, and served as first president of Achieve. For years now, the construction industry, the manufacturing sector, and even auto mechanics have been clamoring about the need for students to graduate high school ready to work in our industries. Contrary to popular belief, these are not low-skilled jobs. Rather, they require significant knowledge of mathematics, algebra, trigonometry, physics, and computer science. Today’s plumbers, electricians, and sheet metal workers are learning to use Building Information Modeling, a highly specialized computer program that illustrates the location of every wall, pipe, and outlet before a building is even built. Ph.D. computer scientists aren’t the ones doing the modeling; this work requires journeyman sheet metal workers and pipefitters who have come up through the apprenticeship system. The construction industry has been using apprenticeship programs to teach skills to young people for the last century. They work under the tutelage of journeymen for 3-5 years while going to school to learn the theory behind what they’re doing on the job. Each of the 15 building and construction craft and trade unions, working in partnership with union contractors, operate joint apprenticeship programs that have provided the United States with the best-trained construction workforce in the world. 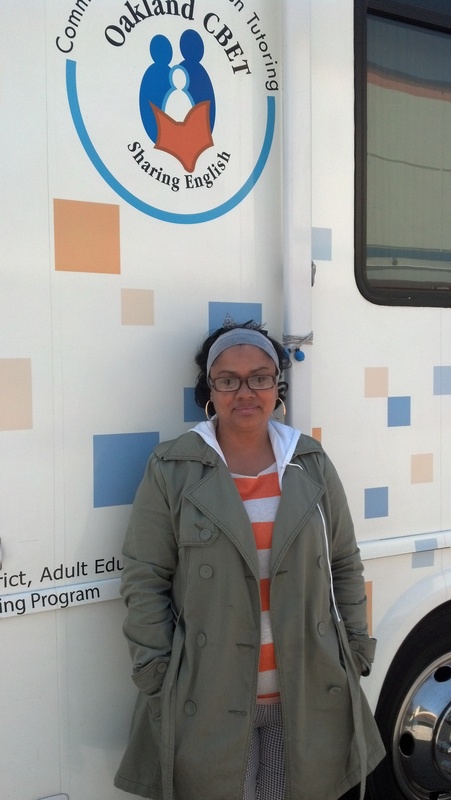 These programs are overseen by the California Division of Apprenticeship Standards. Because so many school districts have dismantled their vocational training and industrial arts programs, students are no longer introduced to what might become their lifelong careers. Studies show that many students drop out of school because their classes aren’t interesting, and don’t seem relevant to their lives. Apprenticeship programs routinely report a 50 percent failure rate among those taking their basic math entry exam. Those test-takers were inspired to enter a construction career path, but are lacking the educational basics. If math, English, and science could be applied toward specific career goals, students might be more motivated to stay in school, and more prepared to enter careers upon graduating. Career Technical Education can provide that spark for students. Only 20-25 percent of students will attend a four-year college, and when they do, they will rack up tens of thousands of dollars of debt before even landing an entry-level job. Apprenticeship is free, and offers students an opportunity to learn a skill while earning a paycheck. That’s why we call it “the other four-year degree.” We fully support CTE because we need students to be prepared to enter apprenticeship and learn skills for our construction industry when they graduate. 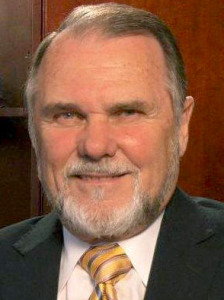 Robert Balgenorth is president of the State Building and Construction Trades Council, and Co-Chair of the GetREAL-California Coalition (Relevance in Education and Learning). The terms “college and career readiness” are often seen as synonymous, but are they? It’s relatively easy to understand what “college-ready” means: academic skills sufficient for the rigors of college work. “Career-ready,” however, is often left undefined. At a time when “college for all” appears to equate to “student success,” it is important to explore what “career-ready” means. “Pathways to Prosperity,” a recent Harvard University report, argues that expecting all students to go to college is short-sighted. The report indicated that 63 percent of jobs do require some form of post-secondary education, but it also showed that many students who complete a post-secondary graduate program have given little thought or preparation to their career interest. How do we prepare high school graduates to be college- and career–ready? Career readiness includes three major areas: core academic skills, and the ability to apply those skills to real-world situations and in routine workplace activities; employability skills (critical thinking, problem solving, communicating, and responsibility) that are essential in any career/life area; and job-specific skills related to a specific career pathway. Career readiness provides a foundation that all students need to make informed decisions about their post-high-school options. These include post-secondary education, entry-level employment, apprenticeships, or military service that will lead to self-sufficiency and the attainment of the student’s aspirations, career, and life goals. In today’s world, every student in California must have the knowledge and skills to make appropriate choices and successfully manage their careers throughout their lifetime. Graduating from high school both college- and career-ready will make that possible. We need to enact changes to our accountability system to address more than just standardized test scores. Proposals like Sen. Darrell Steinbergs’s SB 1458, redefining the state’s accountability measures, hold the promise of expanding the scope of what we value and therefore measure in our schools – while creating incentives for districts to expand the programs and curriculums to help our students become career-ready. High School Accountability Report Cards (SARCs) should be required to include the percentage of students who are graduating career-ready, so that parents start to monitor whether or not schools are addressing this critical life skill. The California State Plan for Career and Technical Education already has tools that can help districts and local school sites measure the status and effectiveness of their CTE programs. Existing quality criteria identified in the State Plan provide a great foundation on which to build a more comprehensive and responsive accountability system. Policy leaders must pay attention to the need to strengthen the “career-ready” status of all of our students in meaningful and effective ways. We can no longer afford to ignore the reality that employability and career readiness do matter – for the economic growth of our citizens and our state. 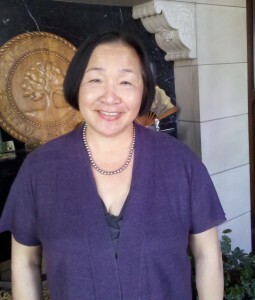 Barbara Nemko has been the superintendent of schools for Napa County since April 1997. She served on the Transition Team for State Superintendent of Public Instruction Tom Torlakson, and is currently a member of his Technology Task Force. In previous administrations she served on several state boards including the State Plan for Career and Technical Education and the Master Plan. College- and career-ready: as we dig into the new rhetoric surrounding today’s high school graduates, I hope we will focus on the word “and.” By exploring the intersections and connections between college and career readiness, we have the opportunity to expand our thinking about effective learning in both the classroom and the workplace. An example: At a Health Careers Academy in a southern California high school, seniors spend three mornings a week in a group internship at local medical facilities. One morning I observed student interns at Kaiser Permanente learning how to perform electrocardiograms. Collaborating with the students’ classroom teacher, a physician’s assistant walked the interns through how to attach electrodes to the body and how to read the electrocardiogram results. That afternoon, back in medical sciences biology class, the students focused on the human cardiovascular system and the role electricity plays in regulating the heart. They learned how different forms of heart disease can interfere with this electrical system, and they dug deeper into electrocardiography and related technologies such as pacemakers and artificial hearts. This strong connection between real-world learning at a working hospital and the related academics later that afternoon in biology class did not, of course, happen by accident. It took a thoughtful, skilled teacher to structure that engaging learning experience and help her students integrate their hands-on experience with a classroom lesson. We call this kind of integration Linked Learning, an approach that transforms students’ high school experience by bringing together strong academics, demanding technical education, and real-world experience. We know that high-quality Linked Learning produces greater student engagement, improved achievement, and a higher likelihood of postsecondary enrollment and increased earnings. Presently this kind of learning tends to happen in spite of the system rather than because of it. Making it an integral part of student learning will depend on broadening our current accountability measures beyond standardized test results in isolated academic subjects. In the long run, this will require new balanced assessment methods that gauge student performance on interdisciplinary projects and industry-generated design challenges. In the short run, we can look at ways to expand California’s Academic Performance Index to recognize such things as a juried student project, an internship evaluated by industry professionals, or completion of a certified Linked Learning Pathway or an integrated program of study offered through California’s Partnership Academies, Regional Occupational Programs and Centers, or standards-based career and technical education career pathways. By connecting college and career readiness, we can change teaching and learning in ways that help today’s young people leave high school prepared for lasting success in both postsecondary education and career – no longer just one or the other. 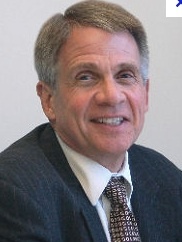 Gary Hoachlander is president of ConnectEd: The California Center for College and Career. He began his career as a brakeman for the Western Maryland Railroad and, since completing his doctorate at the University of California, Berkeley, has devoted his professional life to helping young people learn by doing – connecting education to the opportunities, challenges, and many different rewards to be found through work. To learn more, visit www.connectedcalifornia.org. True career readiness demands that an individual possess complex, vocationally tied individual assets. Having been a STEM and Career Technical educator since 1998, I can offer a perspective from workforce employers and young professionals. Not surprisingly, work ethic and interpersonal skills remain relevant. Employers increasingly demand employees who can contribute to productive teams. Learning aptitude, responsibility, passion, perseverance, organizational skills, and professional appearance continue to be held in high regard. Organizations are increasingly investing in employees who demonstrate problem solving and innovation skills. Employers understand that substantial investments must be made in college graduates to develop them into valuable contributors. Employers are also expressing concern that potential workforce members frequently do not possess the specific skill sets to serve jobs in their regions. In the Central Valley, a skills mismatch exists between a workforce formerly heavily invested in construction and employers seeking skilled machinists, medical technicians, automotive technicians, and other specialized tradespeople. Deciphering the functional meaning of true career readiness should be done career by career. Only then may we responsibly develop ways to measure competencies aligned with employee success in a specific field. There is a growing trend to develop policy and fund initiatives that support a general career readiness ideal. Because the career readiness construct is such a general term, any endeavor to quantify it will be at best a generic approximation. These things said, attempts to develop an exam grounded in career readiness and a national set of Common Core standards hold promise to be much better than our present arsenal of standardized tests. Traditionally, standardized tests have surveyed students for their breadth of knowledge. I believe improvements are on the horizon. The SMARTER Balanced Assessment Consortium is endeavoring to build a next generation of assessments aligned to English Language Arts and Mathematics. Their aim is to infuse real-world-aligned problem solving tasks and simulated project-based elements in an assessment that can be administered economically online. It’s ambitious, and the new test’s architects admittedly don’t know how they’re going to do these things. But it’s promising to see test developers aspiring toward a better instrument. We are moving strategically as a nation toward better assessments of global career readiness. Successful prototypes should inform instruction and learning. A score on a singular readiness assessment should never serve as the scorecard by which society determines who is invited to access college, career, or the global competitive economy. 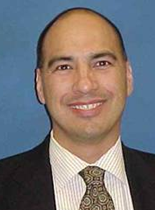 A school administrator for two decades, Devin Blizzard is the chief executive officer at the Center for Advanced Research and Technology (CART), an academic career technical education pathway school that is operated jointly by Clovis and Fresno Unified School Districts. He has served as the director of the Central Valley Robotics and FIRST senior mentor since founding CVR in 2002. He has presented at regional and national STEM, Career Technical, and Model Schools conferences. Author forumPosted on April 10, 2012 April 10, 2012 Categories A to G Curriculum, Career academies, Twenty-first Century Learning, Workforce preparation16 Comments on Career- and college-ready: Are they synonymous or different? Andreas Schleicher looks the part of a diplomat. Tall and slim, with thick gray hair, and impeccable English spoken with a European accent. He is also the consummate diplomat when it comes to assessing the United States’ standing in education. In most countries, low results on the Programme for International Student Assessment, known as the PISA exam, led to contemplation and action. In the United States, not so much; at least not initially. “I don’t think there was really much of an impact in the year 2000 when the results came first,” said Schleicher, who oversees PISA for the Organization for Economic Cooperation and Development, or OECD. That year the United States ranked 15th in literacy, retrieving information, and interpreting texts; and 11th in reflecting on texts. The U.S. was behind what have come to be the usual suspects, including Finland, Canada, Korea and Japan, as well as some nations that give the U.S. a collective wince, such as Iceland, Ireland and, mon Dieu, France. U.S. score on 2000 PISA in Reading. (Source: PISA) Click to enlarge. Schleicher said the big impact came after the 2006 results. That’s when U.S. 15-year-olds scored 21st in the world in science literacy, 19th in identifying scientific issues, 23rd in explaining phenomena scientifically, and 22nd in using scientific evidence. That got the attention of politicians, which informed the development of Common Core standards and Race to the Top, the competitive $4.35 billion federal program to give states money to improve student achievement through innovative strategies. Schleicher discussed these optimistic notes and more during a video interview (click here for part 1 and here for part 2) with Thoughts on Public Education when he was in California for a conference at Stanford University on the Finnish educational system, which we wrote about here. Some of the biggest differences between the United States and the better scoring nations on PISA is in the prestige of the teaching profession. 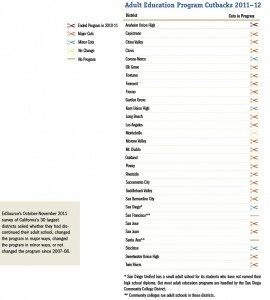 “Pay in the United States is comparatively low,” said Schleicher. Although U.S. teachers may earn more money than those in other countries, the compensation is significantly lower than for other professions. That’s not the case in places like Singapore, where teachers are paid on par with other civil servants, including lawyers. Salary is one aspect of teacher satisfaction, but it isn’t solely responsible for the high attrition rate among new teachers, which is 30% in the first five years, according to the National Commission on Teaching and America’s Future. In other countries, teachers are given time during the school day to collaborate with their colleagues and to observe master teachers, and they receive high-quality professional development. They also have a career ladder that isn’t just aimed at administration. When asked what three steps the United States should take to propel itself back onto the top of the charts, Schleicher was quick with an answer. Common Core standards: The U.S. has already begun this process of developing a set of clear goals detailing what good performance looks like. Building capacity for delivering Common Core: Attracting the best people into the teaching profession and providing the resources, support and professional develop to retain them. Developing an equitable system: This takes the second step even farther by attracting the best teachers and principals to work in the most challenging classrooms and schools, and ensuring that the money gets where it can make the biggest difference. Critics of the PISA rankings cite the vast differences between the United States and some of the countries at the top of the list as significant challenges to employing some of these measures. Singapore and China have powerful central governments. Finland lacks racial and ethnic diversity, and the entire population of the country could fit into California’s public schools with a million seats left over. 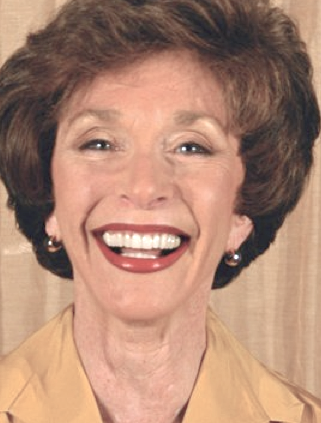 Click for the transcript of the Martha Kanter interview. Martha Kanter didn’t stand a chance of getting to the cookie table at the reception in her honor. When the Under Secretary of the U.S. Department of Education returned to her home turf at De Anza College yesterday, the receiving line was a couple hundred long. She greeted everyone personally with a hug, a handshake, a photo, a conversation. In her new post, Kanter oversees higher education as well as adult and career-technical education and federal student aid. Before President Obama nominated her for the federal post in 2009, she served ten years as president of De Anza College, followed by six years as chancellor of the Foothill-De Anza Community College District, one of the largest districts in the nation. It’s probably just a coincidence that things have gone south for the district – and for all the state’s public colleges and universities – since Kanter left. The state’s fiscal crisis cut the Foothill-De Anza budget by more than $25 million, forcing the campuses to reduce course offerings, which led to a drop in enrollment. 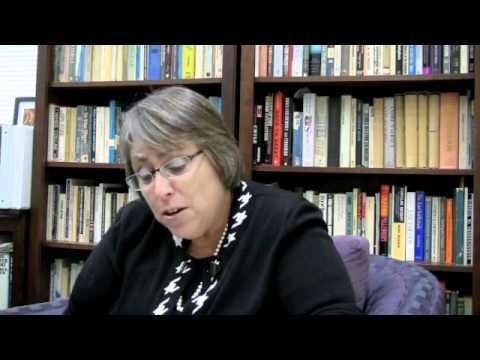 In a video interview with Thoughts on Public Education and a presentation at De Anza, the Under Secretary didn’t downplay the worries over this bleak time for higher education; however, she did seek to raise hope. [Click here for a transcript]. “There are what I call ‘islands of excellence’ all over this state and all over this country, but we haven’t been able to scale these,” Kanter explained. What’s also unstoppable, or so it seems, are colleges costs. The price of college has increased faster than the median household income, and student loan debt has surpassed credit card debt for the first time ever. Along with their degrees, students graduate from college carrying an average of $25,000 in student loan debt. “A senior in high school has seen the cost of attendance at a public institution nearly double in his or her lifetime,” said Kanter. Just look at the University of California. The state contributes 60 percent less to UC today than it did twenty years ago, while students contribute nearly 70 percent more. The Obama administration is doing what it can, said Kanter, with changes to Pell grants for the neediest students at the forefront. The administration has raised the maximum award by $819 to $5,500 a year and proposed an $85 increase for next year. Officials also simplified the application process. As a result of those steps and the recession, the number of Pell grant recipients rose from about 6 million in 2008 to more than 9.5 million today. At the same time, the President reduced the amount of time students are eligible for Pell grants from nine years to six years, and moved up the date that interest begins to accrue on graduate school loans, essentially raising their cost. There are a lot of difficult choices, said Kanter, in response to a student’s question in the nearly full 400-seat lecture hall. “There’s only so much money. I’m hoping we end a war,” she added to a round of applause. 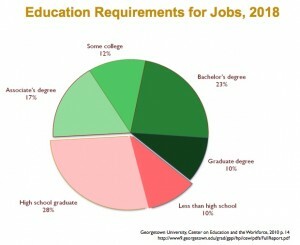 school diploma, and are half as likely to be unemployed. The gains aren’t just for four-year or even two-year degree holders, said Kanter, taking on what she described as the “rhetoric” of college-for-all critics. By 2018, more than 60 percent of the nation’s jobs will require some higher education, according to the Georgetown University Center on Education and the Workforce. The Center estimates that at the current pace, the U.S. will fall about 3 million short. The implications are huge on a global level. In one generation, the country has fallen from first to 16th in the world in the proportion of college graduates. The president hopes to retake the top spot with his 2020 College Completion Goal which seeks to graduate 10 million more students from community colleges and four-year colleges and universities. California isn’t exactly at the forefront of this effort, but the state is taking some steps in the right direction. The community college system’s Student Success Task Force report makes recommendations for getting students through school more quickly, especially basic skills courses, providing better academic counseling and making it easier to transfer to Cal State and UC. But those efforts run up against the budget deficit which, just last week, led to Cal State closing the door on spring transfers next year.